Landlady: Master! Someone wants to learn Wing Chun. Ip Man: You want to learn Wing Chun? Wong Shun Leung: Maybe. Just checking it out. I don't know what Wing Chun is. Wong Shun Leung: No need to tell me all this. Let's just fight. I'll pay you the school fees if I lose. Ip Man: Ok. I am Ip Man of Wing Chun. Not a patch on the first!! This is my first review on IMDb but after watching this film and being bitterly disappointed i felt i had to write one. I want to begin by saying what i liked so much about the first one to illustrate the differences between the 2 films. 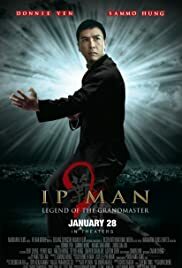 The first one blew me away, the fight scenes were absolutely brilliant, before seeing ip man i was always a fan of the jet li stuff but donnie yen changed everything in the first film, it made me fall in love with win chung, and he was awesome, none of the fight scenes were over the top they were simple but thats what made them brilliant. In the second one i felt like i was watching a John Woo film, death by slow motion. None of the characters were properly developed so you didn't care about them, and the fight scenes seemed to drag on, i mean taking on 50 guys with machetes c'mon for gods sake its supposed to be based on a real man, i don't care how good anyone is that just wouldn't happen, and the bit with the crate Jackie Chan film comes to mind, but the worst bit was the final fight , yaaaaaaaawwwwwnn!!! how boring and predictable, and as someone else mentioned Rocky 4 done all over again. 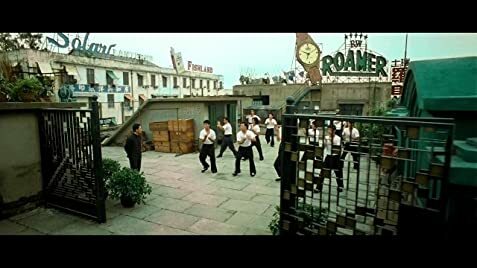 People watch these films for the beauty of Chinese martial arts and in this one Wing chun in particular, and all of that is gone in this one, other than the very first fight with his student. Also the film touches on the spirit of kung fu and the belief system that goes with it, but doesn't go any deeper, which i would have loved, and this film had the opportunity to do that because he was teaching kung fu in this film. So to sum up, Ip Man 2 is nothing special, still enjoyable but doesn't come close to the first one, ill still look out for more donnie yen films though because i still think he played the part well.